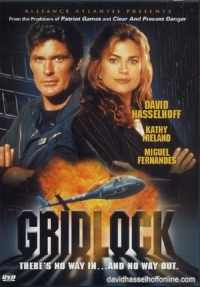 David Hasselhoff, Götz Otto, Alan Scarfe, Von Flores, Jason Blicker, Kathy Ireland, Markus Parilo, Miguel Fernandes, Tony De Santis, Tig Fong, Derwin Jordan, Réal Andrews, Tom Melissis, Robert Thomas, Marc Strange. "...K.I.T. help me im in trouble....."